Truth be told, I’m not a big fan of ironing. One year I gave the honey his own ironing board and iron for Christmas. Yeah. I only iron while sewing. In the past couple of years I have found the beauty of having fabric nice and pressed and ready to be used or sewn. Quilt blocks are not wonky and they are sooo much easier to sew when you iron. I’m learning! 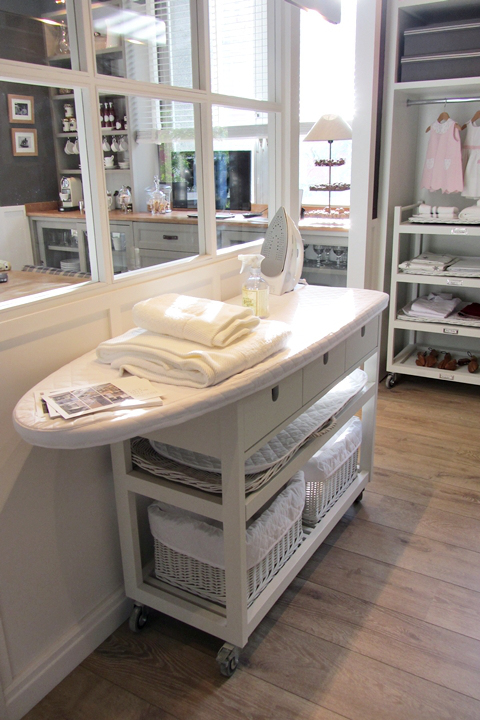 The beauty of the ironing board stations is they can be customized! 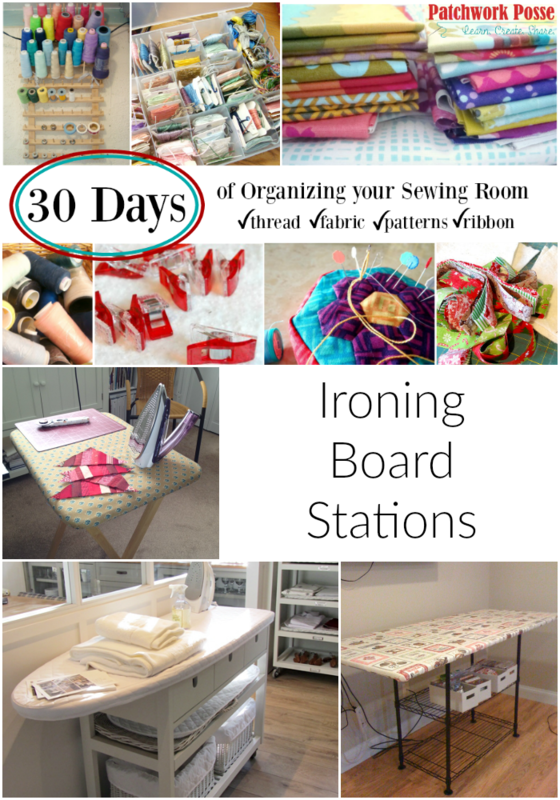 Don’t restrict yourself to the foldable ironing board. It just won’t cut it in the quilting world. There are a lot of options for customizing your station. 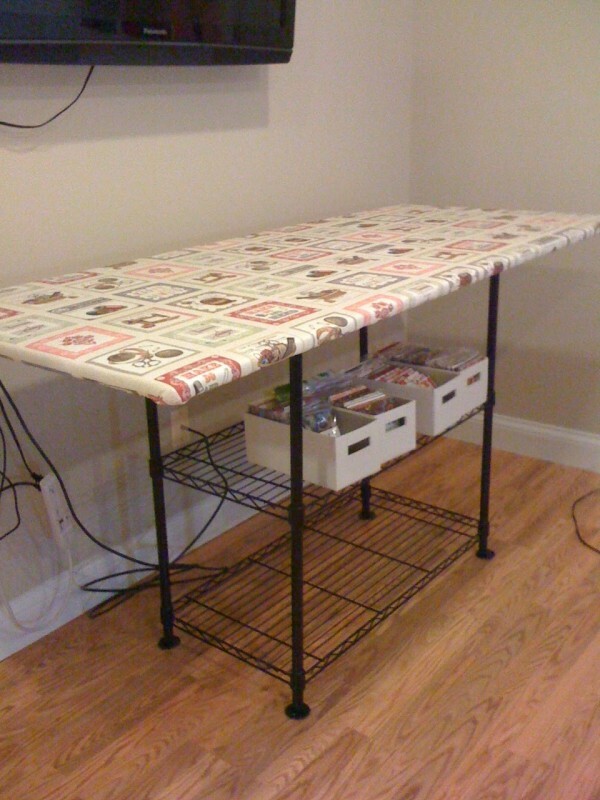 Put the board on top of a shelving unit- you pick one that works awesome for you. Maybe it has wheels on the bottom so you can move it around depending on where you are working. Maybe it has closed cupboards so you can’t see the items you are storing inside. Maybe there are drawers. Pick a design that fits the look of your room. Start looking at furniture just a bit differently. Use it for a different purpose. You never know what you’ll come up with that works perfectly for you! 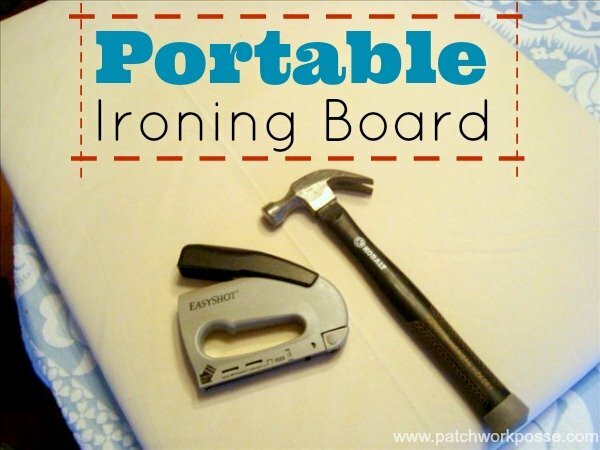 Portable Ironing Board – Customize your own size for your own sewing room. So easy and works great! Diaper changing table with an iron board on it. Great for storage too! Tutorial for making the board to fit over a shelving unit. Think simple shelf! A wire unit with extra large iron station is perfect. not a whole lot of space? Want it to travel? This ironing station is on top of a foldable tv tray. Here’s a quick reminder or when to press or iron. Not sure what iron to get? 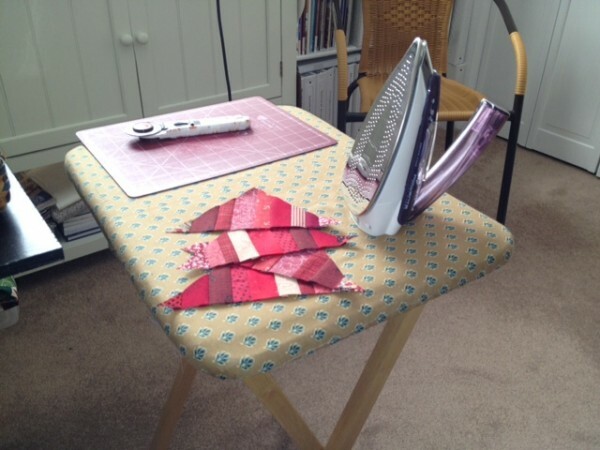 Here are the best iron for quilting. Travel with your iron? Check out the iron bag tutorial. 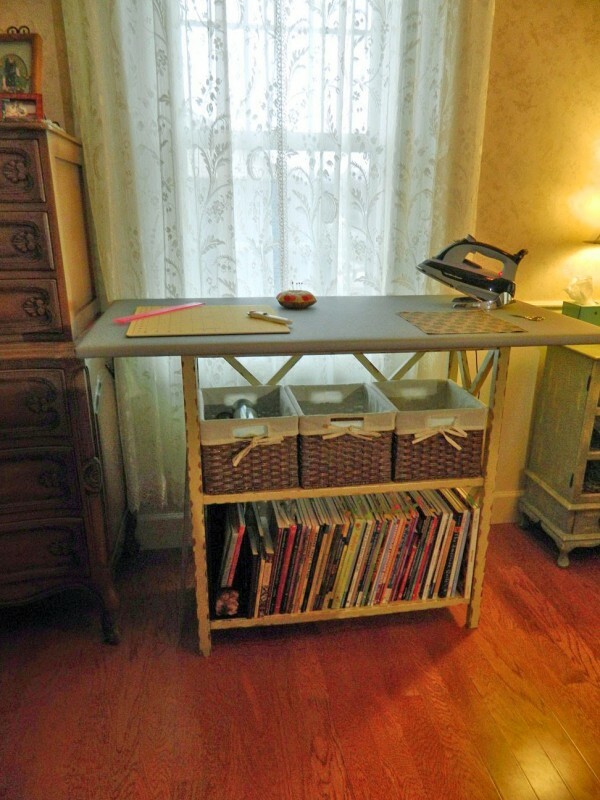 Have a solution for a great ironing station in your sewing room? Share it with us!